Do I Need Vyvanse Rehab? Is There Vyvanse Treatment? How to Pick a Top Vyvanse Rehab? What Is Vyvanse? Is Vyvanse Addictive? Vyvanse (lisdexamfetamine) is an amphetamine stimulant and first-choice treatment for ADHD (used in combination with counseling or other non-drug therapies) that is usually taken once a day. Because it's only available as a brand-name drug, it can be expensive. Vyvanse has a risk of abuse and dependence. People with a history of drug abuse shouldn't take it. Find Treatment Now If you recognize the signs of addiction in yourself, don't wait to get help. Find a treatment center today. Vyvanse works by increasing norepinephrine and dopamine activity in the brain, which affects attention and behavior. Taking a stimulant like Vyvanse may worsen or bring on psychiatric symptoms such as hallucinations, delusional thinking, and mania. It may also exacerbate aggressive behavior or hostility. According to FDA, once-daily Vyvanse is a Schedule II controlled substance because it has high potential for abuse, with use potentially leading to dependence. Though it was created as a less addictive and longer lasting alternative to first generation ADHD treatments such as Ritalin and Adderall, Vyvanse can be abused. Abuse of other substances (alcohol, sedatives, etc.) while taking Vyvanse may indicate that stopping use will require medical supervision and the security of a rehab. Prolonged Vyvanse use may have led to marked tolerance and increases the risk of a difficult withdrawal period. High dose Vyvanse use can also elicit profound tolerance and withdrawal. The symptoms of Vyvanse abuse are typical of the stimulant class and include delusions, paranoia, and hallucinations. In the most serious addiction cases, Vyvanse can cause permanent psychosis, strokes, and death; as a result, getting help early in the abuse cycle is essential. A thorough physical and psychological assessment is taken. Here, experienced staff who know the ins and outs of drug addiction will support individuals through a successful completion of Vyvanse detox. While there is no effective pharmacotherapy for amphetamine addiction yet, the detoxification process is an integral part of treatment. During the detox, the body cleanses itself of the drug and associated toxins. This can take three to five days. However, it may take several months for the central nervous system to fully recover from the use of amphetamine. One of the most important points to address in treating an amphetamine addiction is the effective dissolution of the strong psychological dependence that many people develop to these drugs. Counseling and therapy is typically prescribed to help a person deal with his or her psychological addiction. The focus of psychological treatment is to help the person deal with the thoughts and behaviors that led to the addiction and to provide him or her with the tools needed to prevent a relapse. During treatment, underlying issues related to the development of addiction are brought up. For example, many people use amphetamine to lose weight. Therapy can help people deal with the pressure, helping them avoid relapsing. Some medical professionals recommended daily aerobic exercise--especially endurance exercise (distance running)--to augment recovery from, and future issues with psychostimulant addiction. According to Cochrane collaboration reviews, cognitive behavioral therapy is currently the most effective clinical treatment for psychostimulant addiction. Since being cut off from loved ones may be of particular concern for an individual, incorporating the participation of family members is often implemented in treatment. Having family involvement is beneficial in helping patients maintain their recovery after leaving the treatment center. A supportive and safe environment is provided where a person's physical symptoms can be stabilized, psychological issues can be dealt with and coping skills can be successfully acquired. Medical staff members are present to monitor the physical and emotional status of the patient throughout the process. Emotional support is a key factor during the weaning process. 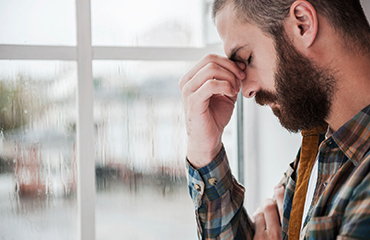 A positive emotional environment can help those suffering from Vyvanse addiction recover more quickly because withdrawal from the drug can trigger feelings of disconnectedness and disassociation. By providing adequate emotional support, the negative consequences of these disassociated feelings can be diminished. It is important to seek treatment for your Vyvanse addiction as soon as you realize it is interfering with your daily life, whether it's school, work, home, family or friends. The sooner you seek treatment for Vyvanse addiction, the less harm will be done in the long run. Also, remember that amphetamine-type stimulant abuse, in general, is not good for your heart and may cause other health problems, such as cardiovascular disease. To avoid the potentially detrimental health effects of Vyvanse abuse in addition to the social effects, it's essential to seek treatment as soon as possible. Please call 1-888-993-3112Who Answers? to speak with a treatment support advisor today. Typically, someone addicted to stimulants needs more than 30 days in drug treatment in order to successfully conquer the addiction. The severity of illness will naturally play a part. If time or budget constraints are a serious concern, then a shorter stay of perhaps a month can still be beneficial. Some milder cases of stimulant addiction can be treated longitudinally with oupatient care - unlike residential programs, outpatient substance abuse treatment can continue for as long as necessary for recovery to take place. Some Vyvanse rehab programs offer aftercare to keep track of progress after leaving the facility. Residential. 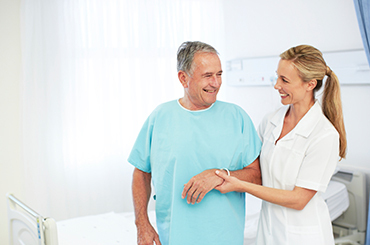 Residential programs provide the patient with full-time care that includes round-the-clock support and guidance. These programs often last one month or longer, depending upon the seriousness of the individual's condition. Private/Luxury. Luxury rehab centers are also available to patients who would like access to more amenities and have the feeling of staying at a major resort or luxury hotel while receiving treatment. Such amenities can include acupuncture, spa treatments, aromatherapy, equine therapy and golf courses. Executive. Executive rehab facilities are specifically targeted to those who can attend recovery while keeping control of their businesses by being allowed to access laptop and other mobile devices from the treatment centers. Other Specialized Rehab Programs. Holistic programs help patients by enhancing the mind-body-spirit connection while undergoing treatment. Exercises such as yoga, meditation, and other Eastern practices are conducted to ward off stress and distraction and to focus on the goal, which is recovery from addiction. The cost of these programs vary; however, the cost of residential treatment is higher than that of outpatient care. Luxury drug rehab centers can cost as much as several thousand dollars per month to attend. That being said, it is important for anyone considering rehab to understand that the cost of Vyvanse addiction is far more expensive than the cost of treatment, with or without coverage, endangering the mental and physical health of a person. It is important for anyone considering rehab to understand that the cost of Vyvanse addiction is far more expensive than the cost of treatment. Many people delay or avoid treatment because they fear that they can't afford it when, in fact, it is often covered by their health insurance policy. 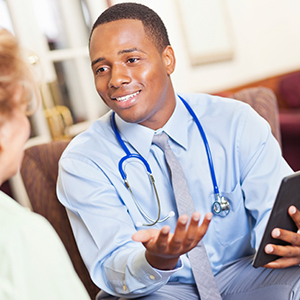 According to the Affordable Care Act (2010), insurance companies are required to provide policies with mental health and substance abuse coverage. The cost of these programs vary; however, the cost of residential treatment is higher than that of outpatient care. Luxury drug rehab centers can cost as much as several thousand dollars per month to attend. That being said, it is important for anyone considering rehab to understand that the cost of Vyvanse addiction is far more expensive than the cost of treatment, with or without coverage, endangering the mental and physical health of a person. Weekly check-ins - Weekly check-ins by phone are conducted to monitor the progress of patients and help with any obstacles. Drop-in sessions - These sessions let patients stop by the center for a meeting whenever they need additional support. Support programs - Support programs can consist of group therapy, support groups, family therapy, etc. Success rates - Particularly for Vyvanse addiction-related cases. Therapies offered - The inpatient rehab center should offer a combination of effective therapies. The NIDA explains that the facility should provide a mixture of occupational therapy, speech language therapy, physical therapy, psychotherapy recreational therapy and behavioral management therapy to increase your chances of overcoming your Vyvanse addiction and leading a drug-free life. Quality of staff - The facility should only hire professionally trained staff. Doctors and nurses should be specially trained in rehabilitation to help with any challenges that may arise, ensuring proper care. Staff availability - Around-the-clock care should be available to help with any situation that may occur during the recovery process. Access to medical and/or mental health care services - For those who will require simultaneous treatment of such issues.